Children should be in school by 8.55am each day, when registration begins. It is important that all children make a good start to the day and are ready to learn. 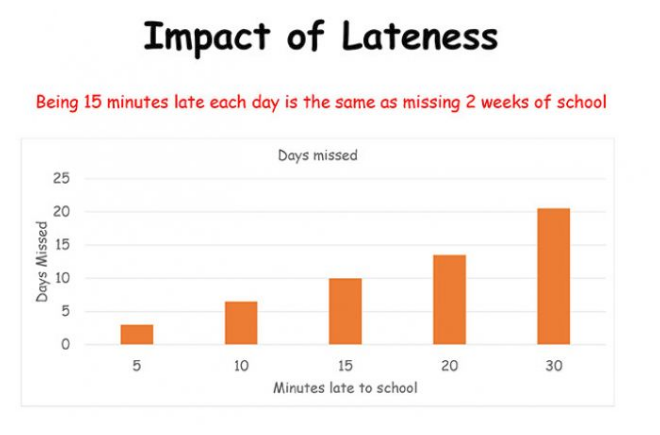 If a child arrives after 8.55am but before 9.30am (when registers close) they will be given a ‘late’ mark. Late arrivals disrupt the whole class and pupils who arrive late are often embarrassed and may have missed out on important instructions. If children arrive after registers close at 9.30am they will be marked as an unauthorised absence.